Home > Latest > Off Topic > Whatsapp Payments Services Soon to be launched!!! WhatsApp one of the most used instant messaging service around the world with more than 1 billion users and 220-240 million coming from India. There is no dought that WhatsApp is the most used instant messaging App in India. 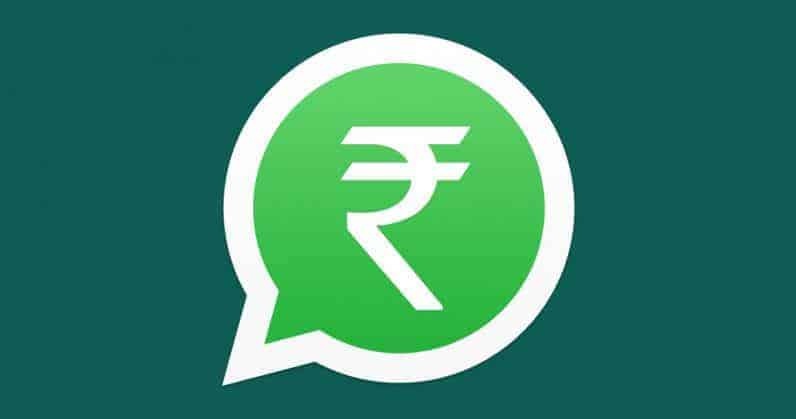 According to some reports, Whatsapp is set to offer its payment services in India as early as next week in an attempt to win market share. Whatsapp will partner with HDFC Bank, ICICI Bank, and Axis Bank to process the payments and State Bak of India will join later. Whatsapp was aiming for a full rollout with four partners but decided to go ahead with just three as its rivals were racing ahead, the people said, asking not to be named as the information isn’t public. A UPI app can be built by a developer, the actual processing of the money transfer needs to be done by a bank. This explains why WhatsApp will have to tie-up with these partners. Whatsapp will be competing against the likes of Paytm, Mobiwik, Oxigen Wallet, Google Tez, PhonePe, JioPay Wallet and some government apps like BHIM app and many other banks UPI apps. However, WhatsApp Payments roll-out has seen some criticism in India, especially from other digital payment apps like Paytm. Paytm’s co-founder Vijay Shekhar Sharma had accused Facebook and WhatsApp of building a walled garden, when Payments was first rolled out, arguing that it did not support interoperability, which is one of the key requirements of UPI. With more than 200 million Indians already use WhatsApp messaging, equivalent to 60 percent of the US population and a daily active usage that Forrester Inc. estimates to be about 20 times higher than Paytm’s. WhatsApp Will be having a great chance of beating the likes of Paytm which is India’s biggest Payment system. It is said WhatsApp is following the likes of WeChat in China, which did the same. WeChat was also an instant messaging app than they rolled out there payments system in China and now they are one of the biggest Payment service provider in China. And I personally believe that if they will follow the right footstep they could be bigger than Paytm in India because they already have a big user base in India and people use WhatsApp much much more than Paytm. Paytm is having more user base in India which is near to 300 Million but the people who use it on the regular basis is far less i.e less than 100 million people use it on regular whereas WhatsApp most of the people use every day. And that is why Whatsapp Payments is a big threat to Paytm. How to download WhatsApp stories on your SmartPhone?